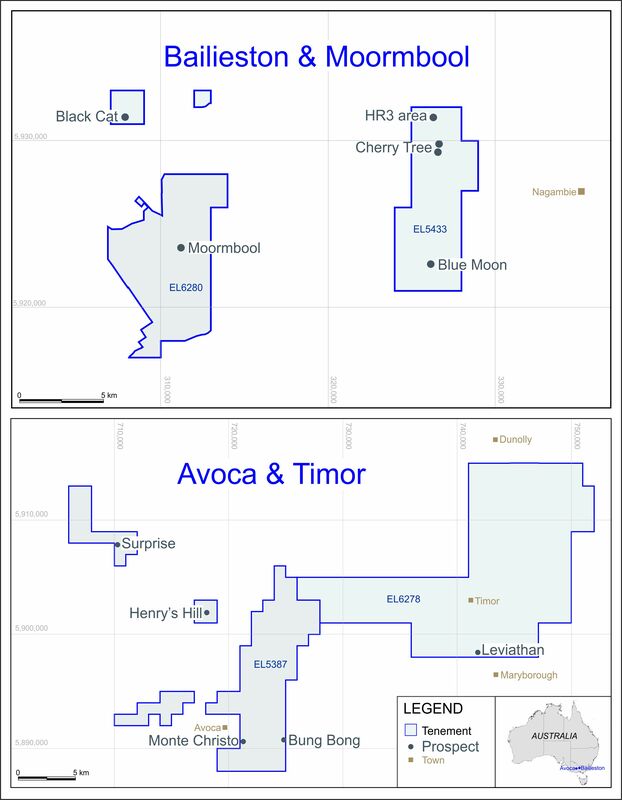 LONDON: 26 MAY 2017 - Further to ECR’s announcement dated 3 March 2016 regarding the acquisition of 100% ownership of the Avoca and Bailieston gold projects located in Victoria, Australia by its wholly owned Australian subsidiary Mercator Gold Australia Pty Ltd (“MGA”), the directors of the Company announce the issue of 793,832 ordinary shares of the Company (the “Further Shares”) to Currawong Resources Pty Ltd (“Currawong”), the vendor of the Avoca and Bailieston projects. The Further Shares have been issued at a price of 1.8 pence, being the mid-price on AIM at the close of trading on 18 May 2017, giving them a value of £14,288.98 or approximately AUD 25,000. Under the Deed of Assignment and Assumption (the “Deed”) between Currawong and MGA, Currawong was to receive AUD 50,000 worth of ECR ordinary shares (the “First Tranche Shares”) within 14 days of the execution date of the Deed (28 February 2016). Due to unforeseen factors (as described in the Company’s announcement dated 23 August 2016 “Prior Announcement”), the First Tranche Shares were not issued until 23 August 2016. Since the Prior Announcement, Mr Motton, a shareholder of Currawong is no longer a director of MGA. The First Tranche shares were issued, as provided in the Deed, based on the average mid-market closing price of ECR ordinary shares over the twenty London business days immediately preceding the execution date of the Deed. Unfortunately, the Company’s share price fell substantially between the beginning of March 2016 and the end of August 2016, and the First Tranche shares were therefore worth less than AUD 50,000 when received by Currawong, based on the Company’s share price at that time. In recognition of this, the Further Shares have been issued in full and final satisfaction of the First Tranche Shares and the second tranche of shares due to Currawong under the Deed. Further to the Company’s announcements dated 9 November 2016 and 3 February 2017, the Directors expect to commence drilling at the Bailieston project during June 2017. Exploration Licence (EL) 5433 has now been formally transferred and registered to MGA, and the consent required under section 44(1) of the Mineral Resources (Sustainable Development) Act 1990 for the planned drilling at the Byron target in the Bailieston project area has been received in the name of MGA. No further permits are required for the proposed drilling. Application will be made for the Further Shares to be admitted to trading on AIM (“Admission”). Admission is expected to occur on or around 2 June 2017. Following Admission, it is expected that ECR’s issued ordinary share capital will consist of 136,693,293 Ordinary Shares. The Further Shares will rank pari passu in all respects with the Ordinary Shares of the Company currently traded on AIM.